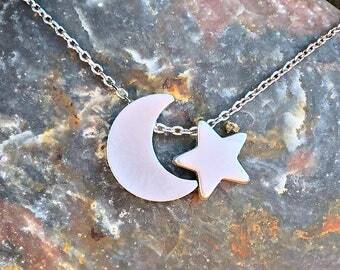 Bee Baubles Jewelry offers hand stamped jewelry, personalized and/or custom pieces. 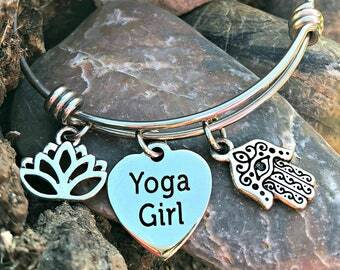 Choose from RN pins, birthstone jewelry, cuff bracelets, charm bracelets, keychains, money clips, rings and much more. We can create what you need to make someone's day special. 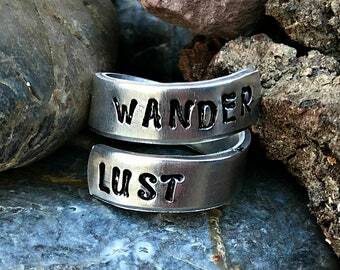 With custom jewelry at all budget levels, getting that hand stamped necklace personalized for mom, initial jewelry, charm bracelet, and/or ring will be easy! If you have any questions or would like to order a custom piece please send me a convo. 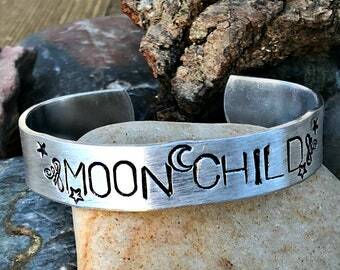 Mom necklaces, initial jewelry, charm bracelets, rings, cuff bracelets, family jewelry, handmade accessories, and much more! Bee Baubles Jewelry was featured in Scrubs Magazine! We were also featured on the TV show The Vampire Diaries! Over 13,000 sales! Thank you, everyone, for being amazing and supporting Bee Baubles Jewelry every step of the way. We use a variety of metals including sterling silver, stainless steel, aluminum, nu-gold, copper, brass, and pewter. We do not deal with gold, but brass and nu-gold both have a gold look if you prefer a gold tone. I am completely revamping the shop! All new photos and TONS of new items are coming soon! Please bear with me during this process. My hand stamping business was started because of the names in our family...Francine, Bristol, Kylie and so on. Growing up I could never find my name on anything because my name is so "different" so when I named my daughter Bristol, I knew that she was in for the same experience. 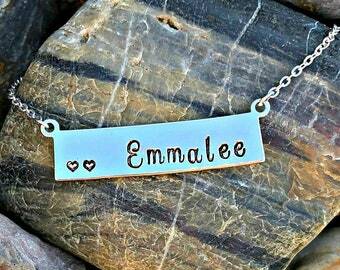 My very first hand stamped piece was with her name on a necklace and I was HOOKED!! Most of my hand stamping and wire wrapping skills were self taught taking advantage of online classes, tutorials and local classes in my little town. I make jewelry full time at home and I love it. My family is extremely supportive of my business and always has encouraging words. All my pieces are designed, hand made and photographed by me. Step inside my shop and you are sure to fall in love. Bee Baubles Jewelry is happy to offer you unique and beautiful designs. All items are designed and handmade by Bee Baubles Jewelry. All items are photographed by Bee Baubles Jewelry. All items are not available for resale without Bee Baubles Jewelry authorization. All items are from a smoke fee environment and a cat lovers home, however the cats do not have access to my work area .